A modern David and Goliath...kinda. Junior Anderson is a smart elementary school student with wit, imagination and a comically whimsical family. 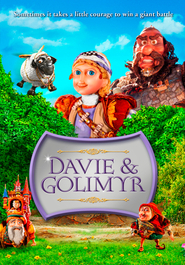 Children will laugh and learn as Junior wages battle against his temper and an angry giant named Tude. Together with the help of his best friend Niko, his parents, and the Word of God, Junior discovers that to defeat the evil Tude, he must learn to follow the Spirit! Dude, the comic Timing in this series is absolute Genius. I listen to it primarily in the car while the kids watch. It did no not get the opportunity it deserved. 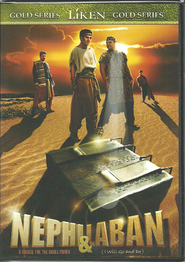 I have listen to all 3 dvds at least 20 times. Makes me laugh every time. My kids love it. Wish it would was in computer animation though. Kids 7,8,10. We bought this movie a few years ago, and my kids didn't really get it. But NOW, wow, they LOVE IT. Its there favorite movie. Seriously very smart writing and witty idea. I was amused by it just as much as they were. PLUS IT HAS A GREAT MESSAGE but delivered in a cool way that doesn't feel like a 'church' movie, but something they would want to watch. Highly recommend for 5 years old and up. My daughter loves Junior's Giants! 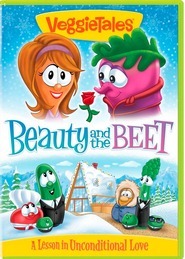 My daught can watch this over and over. She enjoys the singing, but her favorite part is at the end where Junior defeats the Giant by learning how to control his anger. She wants the second one now. We loved this video! In fact I am not sure who likes it more, my hubby or the kids. Junior is a normal kid, one who could belong in my own home and we have been able to use his examples on this video as teaching moments for our 3 boys. They love the dancing scottish giant and his anger song. 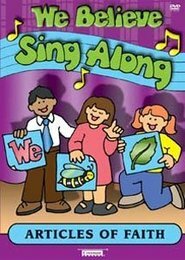 Now when one boy gets mad I hear the others singing the song. They have also been enforced by Jrs's example to pray on their own! AWESOMENESS!! I was really disappointed with this movie. The movie really is not a sweet story, but rather a little bit crude and annoying. The graphics lack the quality I am used to and I didn't like the overall message of the film. Please make more of these and less scripture bugs. Go with this over scripture bugs. 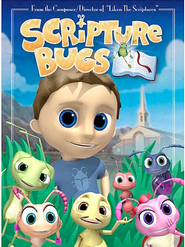 When my son got scared by the creepy pixar style noah in scripture bugs I put this in and he was smiling in seconds. This movie is very short and the message was blah. I wish I hadn't wasted the money. I bought this for my near 3 year old granddaughter who has an anger management problem. It barely keeps her interest except when the giant gets bigger - otherwise to her it's more fun to show anger and play with the angry giant than to control your anger- kind of a reverse message. I found the animation to be bare-bones and mediocre. Realizing, after I purchased it, that the length was only 30 minutes, I felt a little cheated for the money I spent. It's a good try but a long way from what it should be. I don't think I'll buy another episode. This is a very worldly take on the Gospel. I would not recommend this if you are looking for something to feel the Spirit. It is quite sarcastic and some of the storylines are not something that encourages CTR. My children absolutely love Junior's Giants and watch it over and over again. My children absolutely love Junior's Giants and watch it over and over again. I would recommend Junior's Giants to any parent. The messages are clear and have had a positive effect on my children. 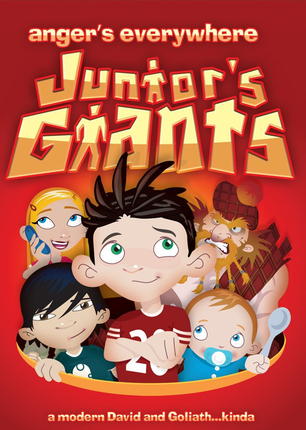 Junior's Giants is fun and entertaining for my children and also for me and my wife. What more can you want? When does the next Junior's Giants come out?